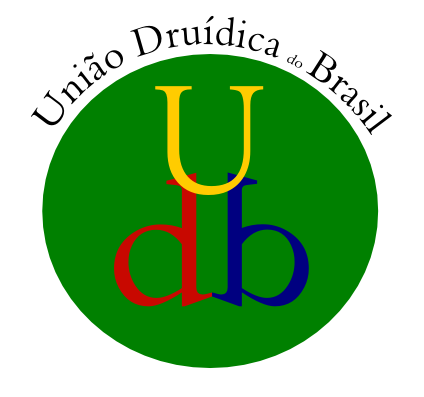 The Clareira Druídica Coré-Tyba (Literally, Coré-Tyba Druidic Grove) is a group of credimaci linked to the Druid Order, located in Curitiba(PR). It’s main goal is to aid people who seek the path of the Primordial Tradition to find integration with nature, the ancient gods and our ancestors. We are linked to the Collège du Chaudron des Druides and also the Assembleia da Tradição Druídica Lusitana. This way, we bring in our essence the traditional european lineage of druidry, in which all the teachings are oral while we celebrate the celtic festivals. The name “Clareira Druídica Coré-Tyba” derives from the old name for Curitiba, which is still a matter of debate among historians. Some of them declare that it means “Land of many pines” while others defend the meaning “Land of many wild pigs”. Our logo consist of three highly important symbols that express our origins and our goals. The first one, is the pinhão (a pine nut, seed of the Araucária tree) and it is there because our group planted a druidic seed in these lands and we hope one day our grove will become as big and strong as an Araucária. This seed represents the first stage of life, in which we must care and feed it on a daily basis. There is also one triskle, representing our celtic roots and through its triple wheels brings the triplicity and cyclicity of the world, which is a druidic teaching. 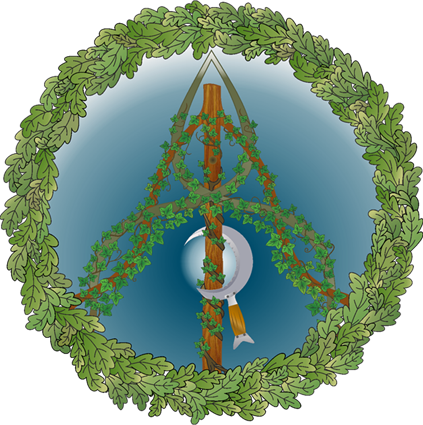 In addition, there is a Tribann, the symbol of the Awen, the holy inspiration that emerges from the Primordial Source reflecting our link with the Druidic Tradition reborn. 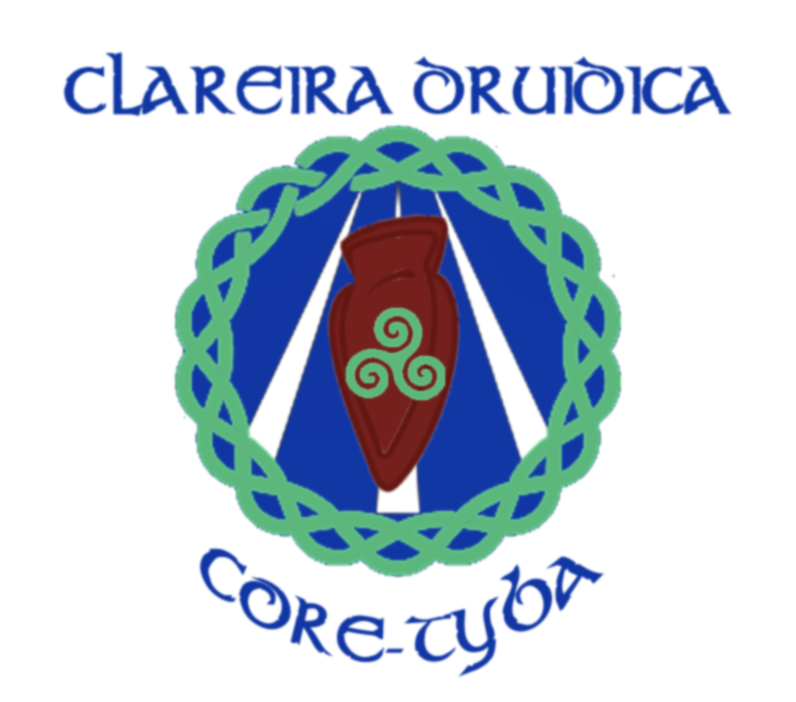 This way, the Clareira Druídica Coré-Tyba is acting as a facilitator in this journey, offering the helping tools needed for the ones who seek their way in Druidry.